Health inspectors “remain concerned” about Boston’s Pilgrim Hospitals emergency department after revisiting it last month. 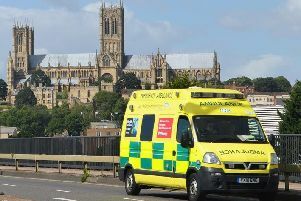 But United Lincolnshire Hospitals Trust (ULHT) said they are putting plans in place to improve the A&E department and are “confident” that concerns have been addressed. Inspectors made an unannounced visit to the hospital in November 2018 and found that it had “unsafe” and “unreliable” systems in place in its A&E department. Issues spotted by CQC inspectors included a child with potential sepsis who was not prioritised immediately. A report by Amanda Stanford, deputy chief inspector of hospitals in the central region, said the ward was “under adverse pressure” at the time of the inspection. * Children placed at risk of harm because they were not cared for by nursing staff with the necessary competencies to provide safe and effective care. Since then, inspectors have said “some improvements” have been made in staffing levels but added that they remain concerned. A report on how the trust is dealing with the CQC inspection will go before members of the Health Scrutiny Panel for Lincolnshire on January 23. Jan Sobieraj, chief executive of ULHT, said the trust was putting measures in place to improve the emergency department. “Following recent CQC inspections at our Pilgrim emergency department we are implementing an improvement programme to increase safety and performance,” he said. “We are confident that many of the concerns have been addressed, making the service more resilient.